I address this question using only the thoughts and opinions I’ve heard from others or that I remember from Bible classes in years past. I haven’t done any research or in-depth study into the creation of the canon, the New Testament. I am speaking from a place of absolute no scholarly authority. I am simply speaking from a place of conversations with friends. In high school, I read Lee Strobel’s The Case for Christ, so I remember bits and pieces of that and in history class we briefly talked about how there were several books that were candidates to be a part of the protestant New Testament and some were discarded and others made the cut. It was a group of men that decided. This is important. 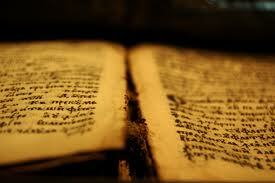 To know why certain scripture has been read for centuries while other texts were discarded. My professors usually began the semester detailing the origin of a book and its author but I don’t recall much discussion on how that book made it in—a basic often reserved for advanced theology classes taken by Biblical studies majors or seminary students. And here’s what I know about those who do advanced theological study: same are affirmed in their faith and some walk away from it completely. Whatever happens in those classes must be challenging and for one of my friends it proved to be too much. He sat there and studied and read and read and read about how those 27 books were put together and compiled and the flaws that were highlighted through that study were enough for him to stop crediting the Bible. In all of the conversations this friend and I had about God, I could not bring myself to ask him what knowledge he had acquired that made him walk away. What little fact made it absolutely impossible to believe anymore. I was too afraid to ask. I didn’t want to know. And he, knowing how painful it was for him, had mercy on my ignorance and never told me. My campus minister once made a harsh joke (he later apologized for) about going through our school’s religion and divinity programs and coming out a Christian. I’ve seen friends strong in their faith come out very shaken (or worse). But I have also seen the opposite. Students entering the program with the intention of (excuse me but) causing hell for the “naive” Christians, and I’ve seen those same students come out with an undeniable faith and trust in the Lord. I took one upper-level religion class during undergrad and in it we broke down and analyzed Christ as He appeared in the New Testament. We read the NT like text rather than scripture, and it was hard to see the differences in the Christ portrayed (ie look at John and Mark… Christ looks very different). What helped me was to realize that if my mom, my roommates, my lunch friends, etc. wrote about my life they would all see me differently just as the NT writers saw Christ differently. All this to say, it took awhile before I could read the NT as scripture again but it did ultimately draw me closer to Him. Can we live by a text that was compiled by men? Maybe a better question is: can we trust the God who guided those men? To which I say yes, based on what I have seen in my life and studied. What a great answer, Katie. That’s a question that sometimes bothered me by the simply fact of existing! Thank you for exposing your point of view, it helped a lot, specially this: “Maybe a better question is: can we trust the God who guided those men?”. Thanks, Andrea, for bringing us to questions and replys like this. I’m glad my thoughts helped you!